The new Ka, called the Ka+, will go on sale in Europe later this year. It is pictured during road tests. LONDON -- Ford of Europe expects a switch to five doors for its new Ka will win buyers seeking a bigger, more functional model than its current Fiat 500-based minicar. Ford will call the Ka replacement in Europe the Ka+ to reflect that it has five doors instead of the current’s model’s three doors. The Ka+ will be unveiled in the summer. It will go on sale later this year, Ford said in a statement Thursday. The Ka+’s main rivals will be the Fiat Panda, Volkswagen Up, Renault Twingo and Hyundai i10. The three-door Ka currently sold in Europe is built by Fiat in Poland alongside the Fiat 500, its platform sibling. The Ka+ is on a Ford global platform. It is a Europeanized version of the Ka developed in Brazil that the company first showed as a concept in Europe in 2013. A company spokesman said the European version has been “significantly updated” from the model sold in Brazil. 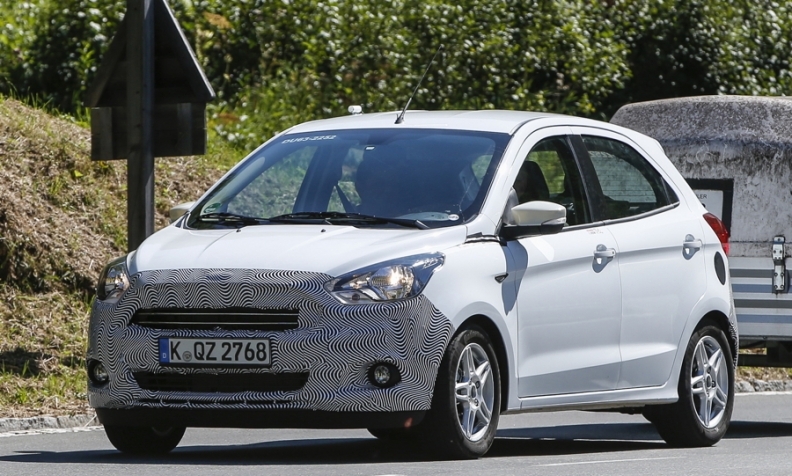 Ford declined to say where the new European Ka will be built. Media reports in Romania have said it will be produced alongside the Ford EcoSport subcompact SUV at the automaker’s Craiova plant. The Ka is also sold and built in India as the Figo, and the country has been named in some media reports as a possible manufacturing location for the European model. The three-door Ka is built by Fiat alongside the 500 minicar. It will be replaced by th Ka+. 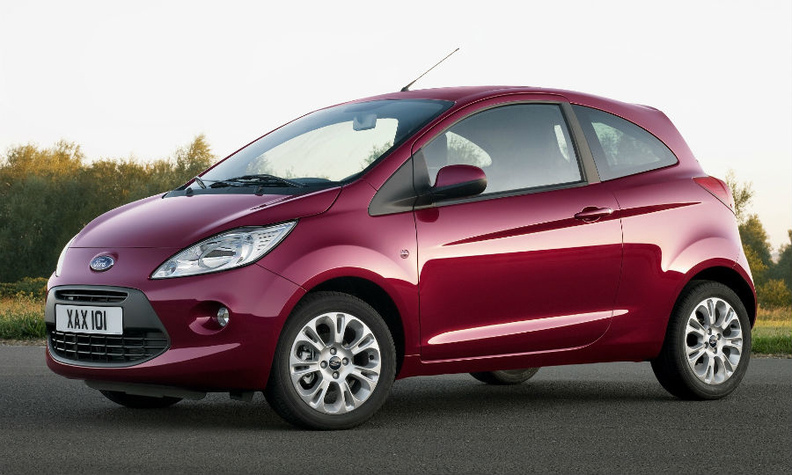 Ford has seen sales of the Ka in Europe decline as newer, more practical models with five-door options have come onto the market. The Ka was No. 12 in Europe’s minicar segment last year with sales of 49,097, according to market analysts JATO Dynamics. The bestseller was the Fiat Panda, a five-door model, with a volume of 167,691.